Learn 5 ways to help maintain healthy glucose levels. November was American Diabetes Month, and with the holidays looming, this is the perfect opportunity to shed light on a major health crisis in our nation. About 1.5 million Americans are diagnosed with diabetes each year, and it remains the seventh leading cause of death in the U.S. Those are staggering statistics! It’s an issue that scientists and medical professionals are working hard to fix, but we can’t just leave it up to them. We, ourselves, need to focus more on our health, by finding natural ways to manage our glucose levels. Keep reading to find out how to help maintain healthy glucose levels already in the normal range. Type I Diabetes – This type is typically diagnosed in children and young adults and describes a condition in which the pancreas does not make enough, or any, insulin to keep the body properly functioning. Type II Diabetes – This is the most common form of diabetes and describes a condition where the pancreas doesn’t make enough insulin to bring glucose to your cells for energy production. The glucose gets trapped in the blood stream and starves your cells of energy, which in turn can cause a number of serious health concerns. Gestational Diabetes – This type only occurs during pregnancy, even if the mother has had not previous issues in the past with diabetes. It describes a condition where the body is not using insulin properly, resulting in high blood glucose levels. If not treated, this condition can have negative effects on the baby’s health. If you happen to be diagnosed with one of the types of diabetes, how the condition affects you is entirely up to you. 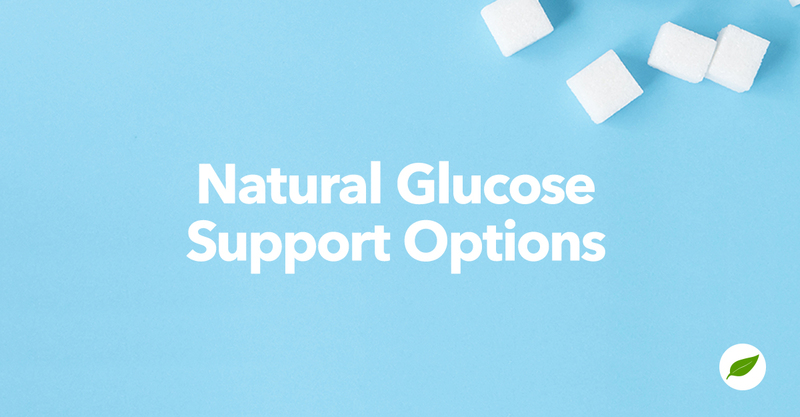 There are plenty of ways to naturally support healthy glucose levels, which can drastically reduce the negative side effects associated with diabetes. These methods should be discussed with, and used in conjunction with, any medication or protocol prescribed by your healthcare provider. Healthy Diet and Exercise – Sorry, this might not be what you want to hear, but the key to controlling your diabetes is to maintain a healthy weight. This means eating a healthy diet rich in lean protein and vegetables, and low in carbs that score high on the glycemic index. You should also establish a regular exercise routine such as fast walking, running, swimming, or aerobics. Monitor Your Blood Sugar Levels – Diabetics should routinely check their blood sugar levels to make sure the methods they are using are working properly. You can also help maintain healthy blood sugar levels by taking glucose support supplements such as the Ultra Glucose Support Pack from Douglas Laboratories. Increase Your Fiber – Eating plenty of fiber can help keep your glucose levels from rising too quickly. That’s because fiber slows the digestion of carbs and sugar absorption, allowing them to enter your bloodstream more slowly, instead of all at once. You can also benefit for a daily fiber supplement such as PureLean Fiber from Pure Encapsulations. Drink Lots of Water – Staying well hydrated helps your kidneys flush out excess blood sugar through urine. Studies show drinking plenty of water, particularly mineral water, can significantly reduce overall glucose levels, and the effects can be long term. Seek Out Chromium and Magnesium – Whether you’re getting these minerals from foods such as egg yolks, dark leafy greens, and avocados, or taking a daily supplement, you’re helping your body regulate blood sugar and possibly even minimize your risk of developing diabetes if you haven’t been diagnosed already. This holiday season make it a point to take control of your glucose levels. What works for you? Tell us about your healthy glucose routine in the comments below!